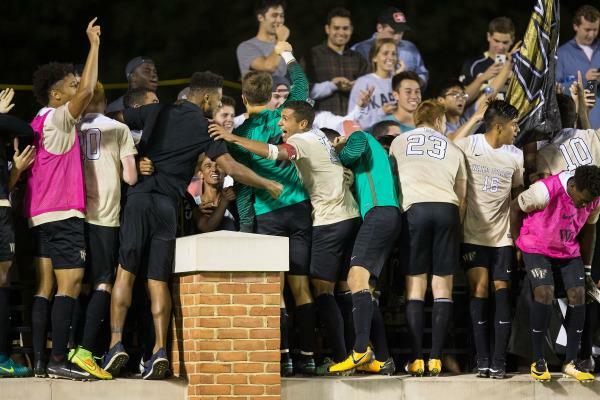 Another regular season is in the books for the Wake Forest men’s soccer team, and with the ACC Championship less than four days away, it is a good time to review the season so far and preview what comes ahead for the Demon Deacons. With an overall record of 15-1-1, Wake Forest has positioned itself atop most of the College Soccer Rankings and secured home-field advantage throughout the ACC Championship playoffs one week in advance of its final game of the season. For most soccer analysts it’s no surprise to see Wake Forest among the best schools in the nation. 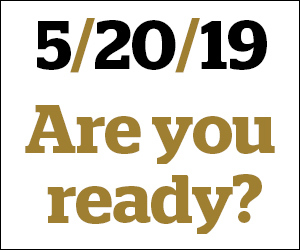 Following up a strong season that came up just short the Demon Deacons proved they are back again and hungrier than ever to pursue its second national championship. Of course, when it comes to soccer unpredictability is one key element that makes this sport so fascinating to watch. However, Wake has been as steady and solid as one could hope for. There were a few bumps on the road — like the 1-0 loss at home to Georgia State in OT after leading the whole game in shooting attempts and then falling to the last-minute Clemson score that sent the match to OT. Yet, Wake Forest proved once again to be a mentally tough, well-coached team after facing those adversities. The following game after the home loss to Georgia State was a trip to Louisville for a tough matchup against the No. 10 Cardinals. Wake Forest walked away with a huge 3-1 win in such hostile environment. They put to rest any critics and doubts from the media. During the final minutes of the game against Clemson, the Tigers were putting a lot of pressure on Wake Forest defense. Then, after Clemson scored the game-tying goal, it was clear which team had the momentum heading to OT. However, after the break Wake Forest came out pressuring Clemson once again as if the final plays of regulation never happened, and ended with a game-winning score by Senior Steve Echevarria. They were not fazed by going to OT in such heart-crushing fashion and kept composure all the way until the end. There were some lessons to be learned from both games, as the dead ball defense, which seems to be the Demon Deacons Achilles heels for most of the season, had some positioning miscues in both occasions. Nevertheless, Wake Forest has drastically improved its defensive consistency over the last six games. The Demon Deacons allowed only one score by highly-ranked North Carolina, and no score at all over the last five games, giving them a score balance of +18 over the last six games— their best over any six-game stretch. There were also some pleasant surprises over the course of this season, as freshmen Brendon Servania and Ema Twumasi rapidly became two of Wake Forest’s best players this season. The former trailing only senior Jon Bakero for most assists on the season with nine and the later also only trailing Bakero as the team’s leading scorer. Bakero has had yet another stellar year with 11 scores and 13 assists, and Luis Argudo rounds out the top four offensive contributors of the team with eight scores and five assists. With so many individual playmakers in the collective game, the main staple of this offense, they are ranked No. 1 in assists with 3.41 assists per game, having a total of 58 in 17 games played, which is 13 assists more than the second place. Now the Demon Deacons wait to see which team they will face in the quarterfinals of the ACC Championship, as N.C. State and Virginia Tech decide which team is coming to Spry Stadium on Nov. 5. Wake Forest has faced both teams this season with both games at home as Wake Forest defeated N.C. State and Virginia Tech by 3-0 in both matches. If the Demon Deacons win the ACC championship it is safe to say that they will probably have the No. 1 seed and home-field advantage throughout the NCAA Championship. Stay tuned for more updates and game analysis as Wake Forest participates in both Championships.